2K Sports attempted to include basketball great Charles Barkley in NBA 2K12's "NBA's Greatest" mode, showcasing dozens of superstars spanning the game's history, but the two sides were unable to reach an agreement bringing the hall-of-famer to the video game. He will not appear in NBA 2K12. "There's no doubt in our minds that Charles is and should always be a key part of the conversation as it relates to who are the NBA's Greatest players of all time," a 2K Sports spokesperson told Kotaku. "We have a very positive relationship with Sir Charles and while we were unable to include him in-game this year for a variety of reasons, we share everyone's hope that he may one day appear in our game." NBA 2K12 last week announced a lineup of 15 NBA legends—and scores of great players playing with and against them—in the game's "NBA's Greatest" mode, somewhat similar to last year's "Jordan Challenge." Barkley's absence, and a hoped-for last-minute inclusion, became an issue Friday when it was noticed that the team showcasing Julius Erving, the 1984-85 Philadelphia 76ers, lacked its starting power forward: Barkley. Initial statements from 2K Sports said that Barkley's absence was a creative decision, albeit a difficult one. But the fact the game went forward, and was promoted, with Barkley's rookie year team without him—in a game that prides itself on accuracy—suggested otherwise. If there was any slip-up here it was borne of ambition. Quite clearly, 2K Sports saw the opportunity to get both Dr. J and Sir Charles into the game on the same team, which would have dazzled gamers. One can only assume they were confident an agreement could be reached at the time they were building out their teams and that it fell through at the last minute, so late it was impossible to switch Erving to another team in his career. It's disappointing, especially when the mystery seemed to point to a tantalizing longshot—that Barkley would be revealed in a surprise announcement sometime before the game's release. But that will not happen. Why Barkley couldn't fit in may be due to money, what billing he receives in the game, or a combination of both. 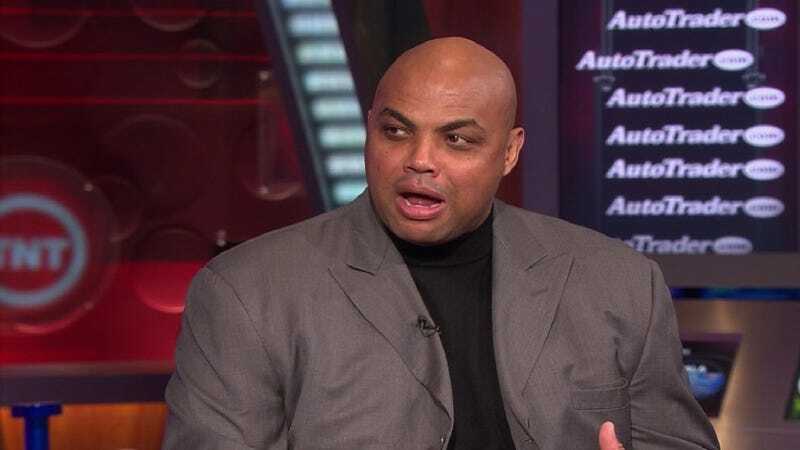 Barkley is a unique figure in that his television work for TNT's NBA broadcasts keeps him prominent as one of basketball's most commanding figures. Yet his playing record is, objectively, dwarfed by the game's three different cover stars, and many of the others on the list of 15 legends. He has one MVP, one NBA Finals appearance and no championships. Nearly everyone else has multiple credentials in both categories. Barkley may have asked for cover-level prominence, or equal footing to Michael Jordan, Larry Bird and Magic Johnson and if he got that, it could make Erving look like the second banana on that '85 Sixers team, which would be a very difficult spot in which to put the Doctor. Individual licensing discussions with sports stars, especially very famous ones, are incredibly tough, and when they fall through, it's always the developers left holding the bag. Their publishing label has to account for the absence without describing or even acknowledging negotiations, for several reasons. The biggest is that doing so risks having the player never want to appear in their game, or come back with even more demanding conditions. But if 2K's statement is any indication, the two sides are on good terms, and nothing about this decision suggests they won't be talking in the future.